Call us today for your driveway paving and sealcoating needs. America's Way Paving shows up! Call us when we are in the neighborhood for a BIG discount! Senior citizens discount give us a call or fill out our contact form. We are licensed and insured paving contractors, paving driveways and parking lots in Bergen county, Essex and other parts of NJ. Townspeople in Rutherford, Clifton, Hackensack, Passaic, Montclair, Nutley to name a few have benefited from our expert service in sealcoating and paving. We want our customers to be assured that they are contracting with a respectable company. 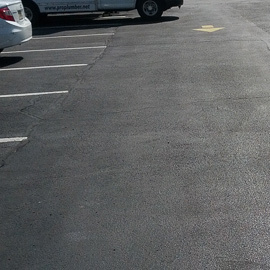 America's Way Paving offers top quality asphalt sealcoating services throughout NJ. Our sealcoating service areas include: Bergen County, Passaic County and Essex County as well as parts of Union and Hudson County. Our knowledgeable Staff can help you make a sound, educated decision about your asphalt parking lot or driveway repair needs today. 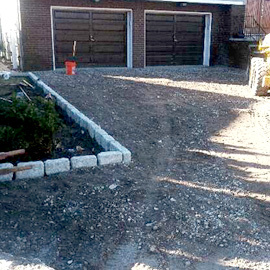 Throughout NJ our concrete repair and construction service can make your life easier and cost you less. In areas that include: Bergen County, Passic County and Essex County as well as parts of Union and Hudson County. 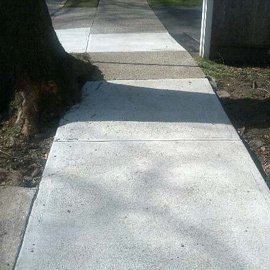 Our expert masons can help you determine what you need for your concrete sidewalk and driveway repair problem. 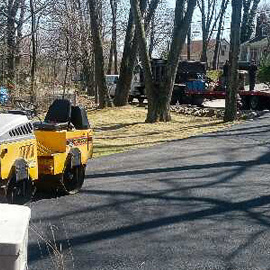 America's Way Paving is a full service paving contractor licensed by the state of New Jersey. As a trusted paving company in New Jersey we maintain the proper staff to ensure that your asphalt projects are done correctly and on time. Whether or not your asphalt repair project involves one location, or several, America's Way Paving can handle your needs, to see that your asphalt project gets completed, on time, and to your satisfaction. Don't hesitate, call us today. We will answer any questions you have about your asphalt paving repair project.